Assist band members or members of other First Nations to apply for identification documents such as: birth certificates, gas cards, age of majority cards and social insurance cards and passports. Assist band members and programs with verification of registry information and population reports. Assist other agencies i.e. Hospitals, pharmacies, doctors' offices with verification of registry information. Assist the Band membership with verification letters of residency, tax exemption and health card letters; we also do affidavits, Commission certain documents that require certification. We report to Indian & Northern Affairs Canada with registering Births, Deaths, marriage, name change, band transfers and administer Indian Status Cards. We do a lot of reporting with INAC keeping our Band Membership reports up to date. 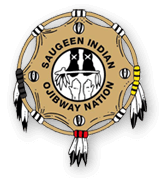 © 2018 Saugeen First Nation Band | Address: 6493 ON-21, Southampton, ON N0H 2L0 Phone: (519) 797-2781 Designed & hosted by: Gem Webb Internet Marketing & Web Design Inc.